The road of data-driven marketing is bumpy. For all the promise, there’s also a lot of resistance. Many marketers are being dragged kicking and screaming into a world very different than where they started their careers. I’ve drawn a few cartoons on the tension between the Math Men and the Mad Men. Ultimately marketing will require both. But we’re in an awkward adolescent period of data-driven marketing. 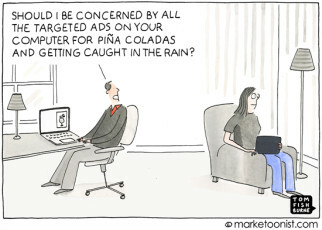 Much of marketing today is either mindlessly data-driven or hopelessly data-resistant. This time of change creates tremendous opportunity for marketers willing to embrace the potential of big data beyond the hype. There has never been a better time to work in marketing. But the role will continue to evolve. I’d love to hear your thoughts on navigating the road of data-driven marketing. 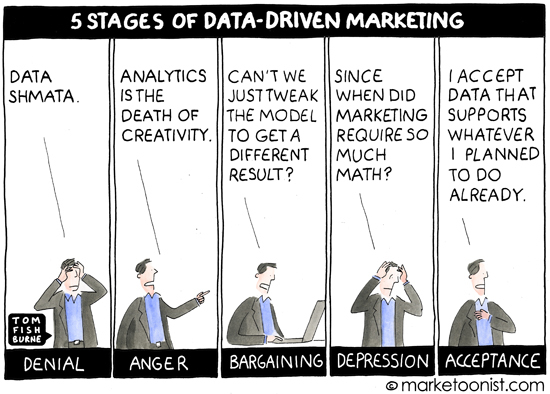 Personally I dont think there is an inherent dislike for data analytics and its application to Marketing. I think the term that we are looking for is confusion. There is suddenly talk of data from all quarters, bound to get on some nerves. But more importantly, there is this confusion around how to use the data available to market better (simply put). There is also some amount of discomfort because more often than not different sets of data exists within an organization – sales, backend, marketing – and one does not know which one to capitalize on and how. The analytics systems and marketing automation applications are not meant to deal with this issue and a custom solution is just too heavy on the pocket not to mention a drain on resources to maintain. The approach needs to be what we used when we were designing questioannaires for Market Research – you need to first know what data you want and then you need to figure the analytics you would want out of that data. This tells you what to store and what to use. It is a much bigger problem to solve but a top down approach is what seems to be a logical way to this. The ability to analyze data and increased math/technical skills are not just becoming the norm for marketing professionals, but for most jobs in and out of an office-space going forward. 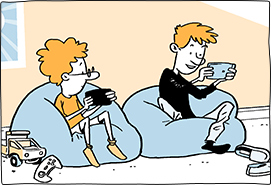 Technology and consumer instant gratification have driven us to this need and will continue to do so. But the Acceptance stage of this cartoon is what worries me the most, especially because it’s so true. Just like in politics and the news media, among other daily things, how do you prevent marketers from looking at only the data they care about and finding only the trends they personally agree with? That will be a hard lesson. I love how you framed this dynamic as the stages of grief. Thank you. as a marketer who started as a marketing analyst, I find it both fascinating and frustrating that this divide continues. Conversations about the art & science of marketing have been heated for many years now — longer than the hype about Big Data. I look forward to when we can move past dichotomy into partnership. 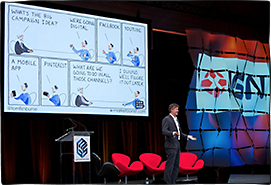 I once gave a speech on how CMO’s should learn to love your CFO. Nothing is more fun than watching a CFO sell ROI, marketshare and marketing strategy to the board, so they think marketing is under control. Especially when the only marketing metric most board members know is usually the number of Facebook likes a brand has. Over the years, I’ve found that the best combo is a marketing centric-data driven CMO working in partnership with a Marketing centric-financially minded CFO. 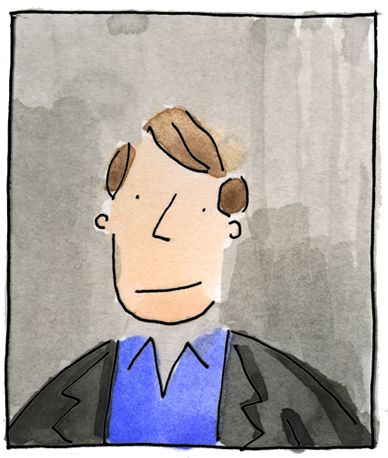 It tends to make the CEO and the board want to invest in marketing … and that’s usually what CMO’s love to do. What a poignant and hilarious depiction of how twenty first century capabilities are making many of us reluctantly re-visit some of the thinking styles we thought we broke-up with in college. The biggest rewards are often reaped outside the comfort zone of data. The best innovators and strategists are the ones who use data to effectively assess the markets, analyze the risk and measure results; however, do not abdicate the launching of a new market path to the safety of the data. I like the 75-80% measurement of reward vs. risk. 100% reward seldom leads to exceptionalism. My admiration to the individuals willing to embrace the data yet own the accountability of the associated risks vs. hiding behind or deferring ownership to the data. You could draw the same sort of cartoon from the data side. Marketing people are opportunity thinkers, they drive the proceedural opperations people nuts. For every interesting data element, there are two new unanswered questions. Marketing has always been about figuring out “what works” and then expanding upon it. And good marketers have always looked for ways to quantify their impact on Sales (how else to justify our budgets to our number-centric friends in the finance dept?). So it’s always been data-driven, there just wasn’t as much data and it was much harder to collect and analyze. CRMs and marketing automation systems were a huge leap forward, and now predictive analytics solutions can help us move beyond best guesses by providing incredible insights into both our Big Data and small that we’d never otherwise find. They can help us see what *really* works, make smarter decisions, and continue to change the perception of Marketing as a cost center, to that of a revenue center. 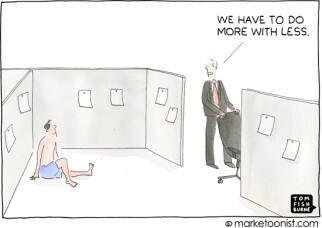 Why are these cartoons always oriented around data and creative marketing ideas being mutually exclusive? Why not let the super creative folks come up with their most creative stuff, and then see how it does by using the data to measure results and either kill it quickly if it’s not working, or crank it up if it is? A further benefit to the super creative people is that they can try *anything* and call it an “experiment”. In this way, it is less likely to get watered down by various people involved in the process. I firmly believe that being data-driven can hugely *help* companies take more risk and be more creative in their marketing by reducing the risk of something failing. This can be very true, depending on the organization. I led category management at a CPG before moving into marketing as brand manager over the company’s largest brand. It was very different. Whereas in the analytics department we used data to find the best version of the truth, in marketing the analysis of data came too late in the process which meant it was often too difficult to change course. Finding and understanding insights from CPG data was a challenge for most people since many organizations don’t train their employees or provide the proper tools for end-users/decision makers to analyze. I left the CPG industry to create software that makes it easy to analyze retail data for this specific industry. Know more. Guess less. Data driven-marketing is obviously the future (and present) of marketing, and I think what you have captured so creatively is that we have trouble coming to terms with it. The best popular example I know of to explain the importance of data-driven decision making is the movie Moneyball. It talks about how our perceptions are biased for a number of different reasons and statistics has the ability to cut through those biases. As marketers that is what we need. The ability to cut through our biases and pursue the best decisions. There is certainly something to be said about the art of marketing, but I think that the great marketers will learn to skillfully produce marketing masterpieces, using data driven decisions as a medium. Data -> Analysis -> Proposal -> Implementation. The sequence above is the bedrock of almost any living process. Data (or knowledge of some sort) is necessarily the starting point. If you are presented with data that lacks relevance, then you will lose faith in data-driven marketing that utilizes it. So, you end up with the guy that works the system backwards, and only accepts the data that supports the proposal that he wants. Thanks for your immense creativity and inspiration for self-reflection. These 5 stages are a pretty accurate roadmap for my therapy sessions. Simply put, there is never a simple solution, just new opportunities. We have just embarked on marketing automation, here are some reflections.